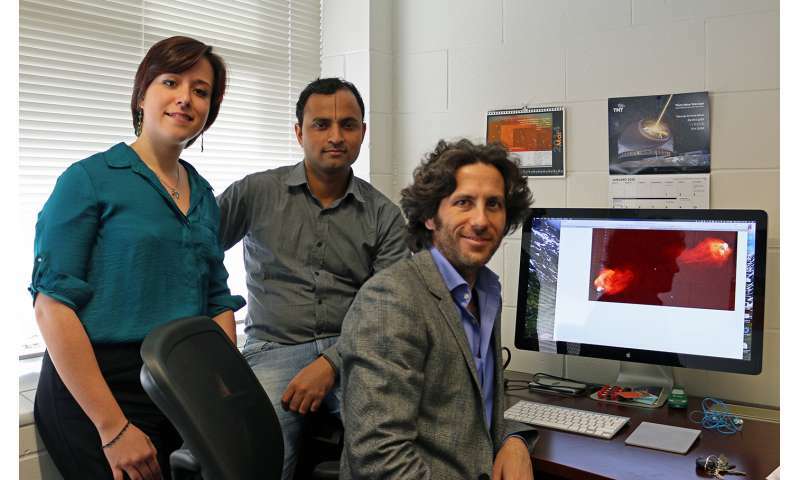 Billions of years later, a trio of Clemson University scientists, led by College of Science astrophysicist Marco Ajello, has identified this black hole and four others similar to it that range in age from 1.4 billion to 1.9 billion years old. These objects emit copious gamma rays, light of the highest energy, that are billions of times more energetic than light that is visible to the human eye. 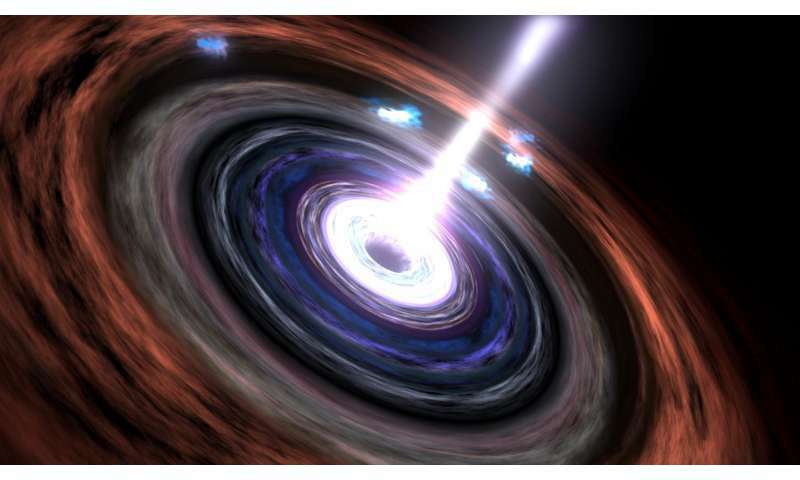 The previously known earliest gamma-ray blazars—a type of galaxy whose intense emission is powered by extremely powerful relativistic jets launched by monstrous black holes—were more than 2 billion years old. Currently, the universe is estimated to be approximately 14 billion years old. "The discovery of these supermassive black holes, which launch jets that emit more energy in one second than our sun will produce in its entire lifetime, was the culmination of a yearlong research project," said Ajello, who has spent much of his career studying the evolution of distant galaxies. 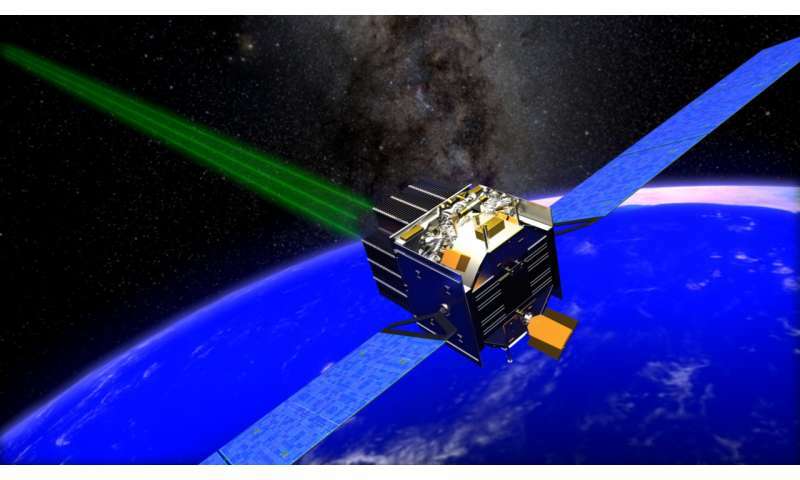 "Our next step is to increase our understanding of the mechanisms involved in the formation, development and activities of these amazing objects, which are the most powerful accelerators in the universe. We can't even come close to replicating such massive outputs of energy in our laboratories. The complexities we're attempting to unravel seem almost as mysterious as the black holes themselves." The supermassive black holes at the center of the five newly discovered blazar galaxies are among the largest types of black holes ever observed, on the order of hundreds of thousands to billions of times the mass of our own sun. And their accompanying accretion disks - rotating swirls of matter that orbit the black holes - emit more than two trillion times the energy output of our sun. "How did these incomprehensibly enormous and energy-laden black holes form so quickly?" Easy, they didn't form so quickly. Your faulty interpretation of their distance based on red-shift and your insistence of a universal beginning has locked the committed merger maniac inside an intellectual black box from which there can be no escape. Sound familiar? ?